For the fifth pub crawl on this site, I thought it only fair that we head south of the water to the newly fashionable yet still affordable (for now) Bedminster. Unwisely I decided to start our pub crawl at the Cider & Sausage Festival at the Southbank Club, which was being hosted by The Cider Shop as part of Bristol Food Connections. Luckily we managed to keep our strong cider intake to just a couple of drinks, which were mostly soaked up by the yummy sausages on offer. First stop once we’d rallied the group was The Coronation on Dean Lane, a small pub which has weathered the slow gentrification of the area well, staying loyal to its locals and still stocking a decent and cheap selection of real ales and ciders – you can even get Natch in cans if you feel so inclined. It’s an unpretentious, proper pub and I’ve often found it a good place to have a few quiet drinks before heading in to town. Next up was The Steam Crane, the first of our North Street pubs and one of the newest additions to the area. 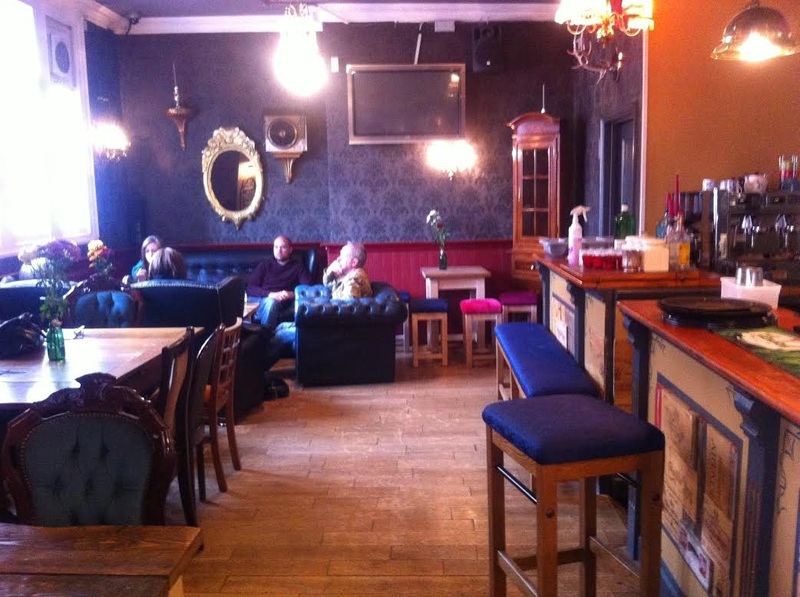 Housed in what used to be The Bay, this bar follows the lead of The Old Bookshop and The Hare nearby by bringing some of the best beers of the moment to the people of Bedminster. There is a good selection of craft beers, real ales and ciders on tap, with the prices edging towards the pricier end of the scale, but then the M.O. here is clearly different to that of The Coronation. Patterned wallpaper, theatre productions and an impressive & well-received menu (the roast dinners in particular seem to be making quite a stir) mean that this bar already has high expectations for itself, which so far it seems to be reaching. It’s not as relaxed as some of its neighbours, but the treats they had from Wiper and True, Wild Beer and numerous other exciting breweries mean that I’d have been happy to linger here a while longer, had we not had a pub crawl to be getting on with. 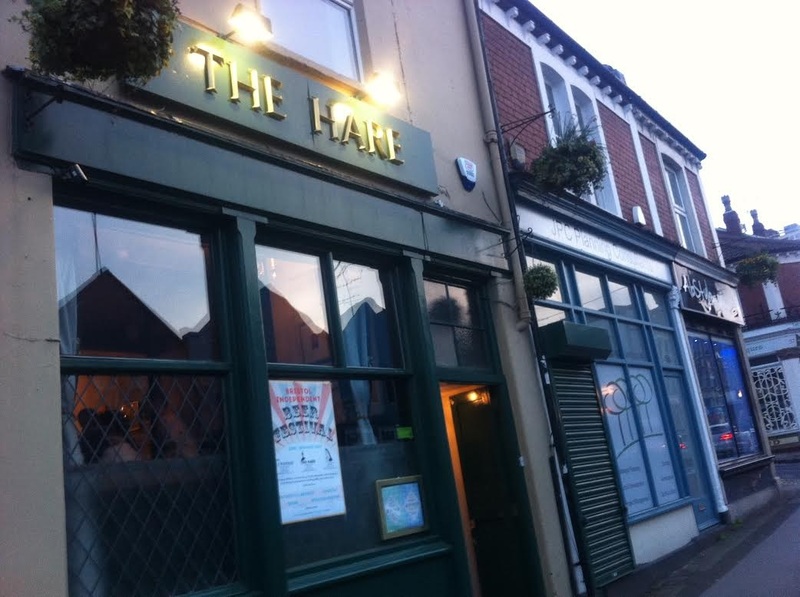 The third pub on our route was The Hare a few minutes down the road (via a food & booze pit stop at North St Standard has opened you can also add that to your list beforehand!) a small but extremely welcoming pub which recently celebrated its second birthday. This was the first time I discovered their narrow garden out back – perfect to fit in our large group which would have struggled to find enough space inside. This cosy bar is definitely the sort of place where you can lose a few hours on a quiet Sunday if you’re not careful, but they also try to draw you in during the week with their popular pub quiz and their Belgian beer nights every other Wednesday. In addition to their good offerings on tap, their spirit selection is also not to be sniffed at. Next on the route is an addition that wasn’t there at the time of our pub crawl – The Old Butcher’s. It’s the sister bar to The Old Bookshop (see below), and is a slick and simple beer bar serving up some soul seafood in the form of Carol’s Crab Kitchen. Pop in for some soft shell crab and a refreshing glass of whatever they have on that day. We were then supposed to head next door to The Old Bookshop but due to it being so busy had to skip straight to the next on our list. This place is well worth a visit though and is already well known citywide for its fantastic menu – whether it be its frequently changing tapas menu, tasty brunches or brilliant roast dinners. The Old Bookshop still knows how to keep you well watered though, with plenty of good beers and ciders to choose from, in addition to some great cocktails. Their Bloody Mary is first rate too – which means you’re likely to see me ensconced in a corner one Sunday morning. Keep an eye to their gig listings too – they get some great acts playing but tickets are in short supply due to the size of the venue! Final stop of the evening was The Spotted Cow, a well established favourite in the area and especially loved for its massive beer garden. It was fairly dark by the time we arrived so we had to instead take over an area in the corner of the pub, and I also found myself wishing we had arrived earlier to take advantage of their decent pub grub menu. There are plenty of events on here throughout the week, but I imagine the main reason this bar is so beloved in the area is due to its good food and that garden. Of course, we didn’t have time (or the binge drinking audacity) to take on all of the pubs in the area, but the bars located further down North Street such as Tobacco Factory and The Hen & Chicken are more venues than they are pubs – however they’re still worth worth a visit for reasonably priced entertainment and decent drinks – they also tend to do food offers if you’re attending one of their events, so it’s worth checking their websites for details. The last stop just past Tobacco Factory is the Bristol Beer Factory Tap Room, a nice lounge style bar which leads on to the brewery just behind it (tours and tasting sessions are available) – pull up a few at once of the long benches or in a cosy armchair and taste your way through the BBF range to see out your pub crawl. If you’re heading in the other direction towards East Street or West Street you’ll hit a variety of very local pubs such as The London Inn, The Jolly Colliers and the local Wetherspoons; all cheap and fairly raucous but worth a visit if you’re looking for a good anecdote or some interesting karaoke to watch. 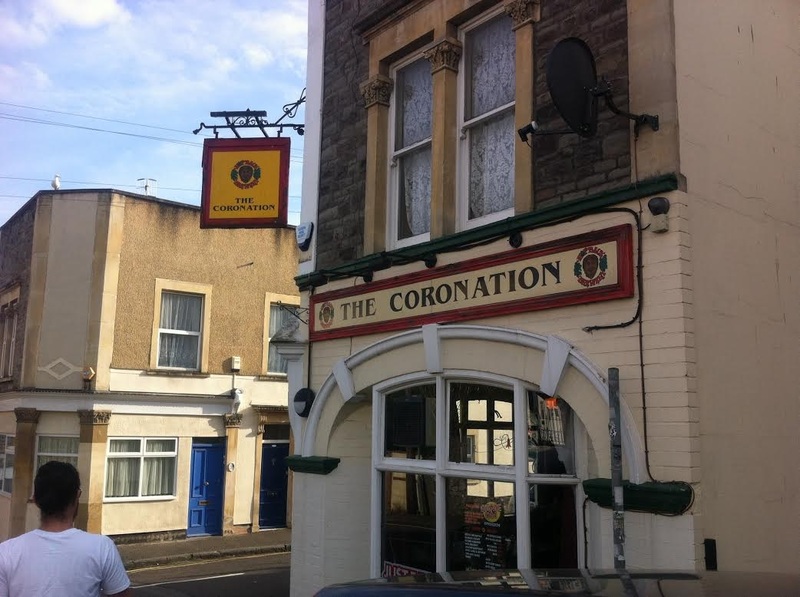 What are your top watering holes in Bedminster? And what do you reckon of the places I’ve listed above? Let me know! There are some great pubs opening/being refurbished. It’s not quite Gloucester Road, but it’s taking baby steps. Hi Mark – it’s still accurate, let me know how you get on!